Route. 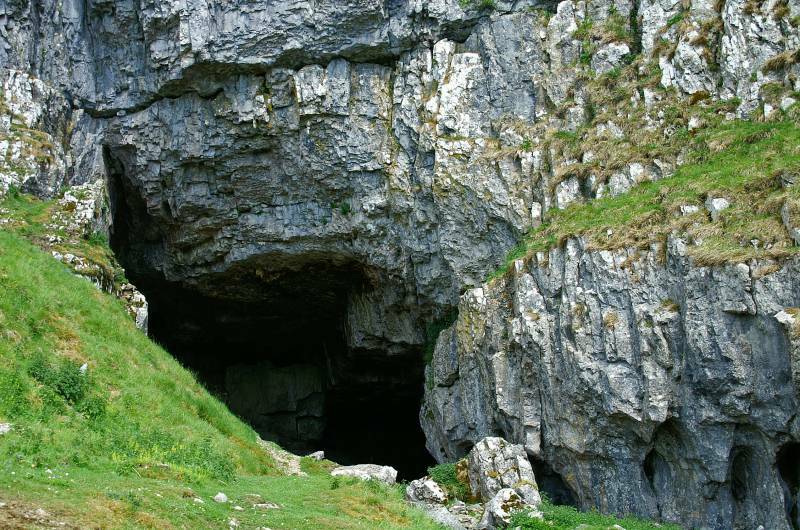 Langcliffe - Craven Lime Works - Stainforth - Catrigg Force - Jubilee Cave - Warrendale - Victoria Cave - Attermire Scar - Warrendale Knotts - Langcliffe. Notes. 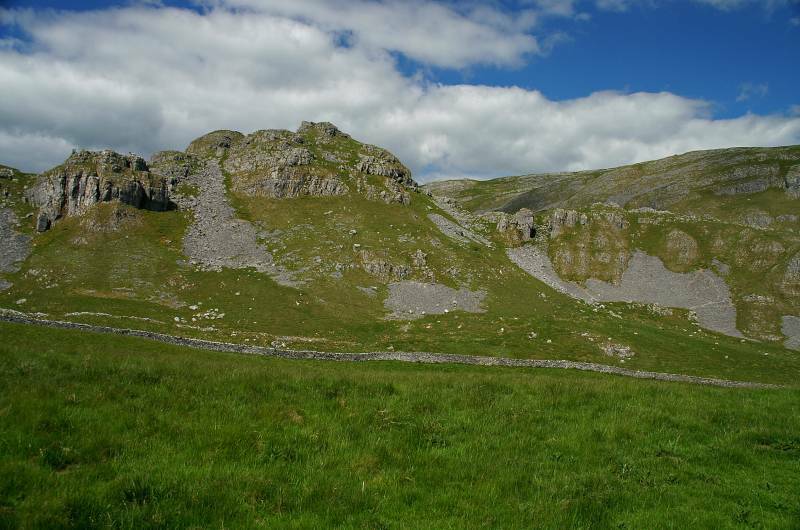 Last weekend I found myself at Malham on the Craven Fault, today I decided to visit another slice of this spectacular fault line marking the edge of the limestone uplands, or High Dales and the lower rolling flatlands to the south. 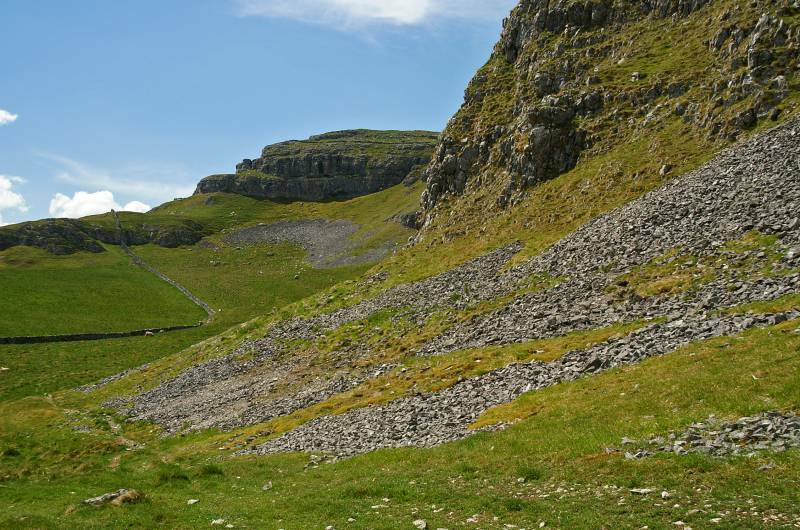 Warrendale Knotts, not as accessible as Malham, but just as spectacular, to make things a little more interesting I swung past the Craven Lime Works before climbing the hill. 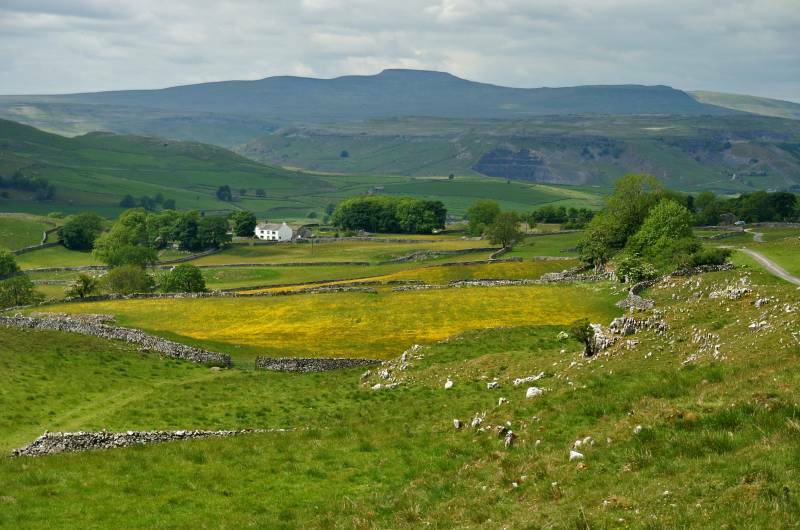 My route left Langcliffe on a signed path for Stainforth, through fields alive with spring flowers before reaching the industrial relic of the Craven Lime Works. I made a point of visiting the Hoffmann kiln (you can't exactly miss it) before continuing to Stainforth. 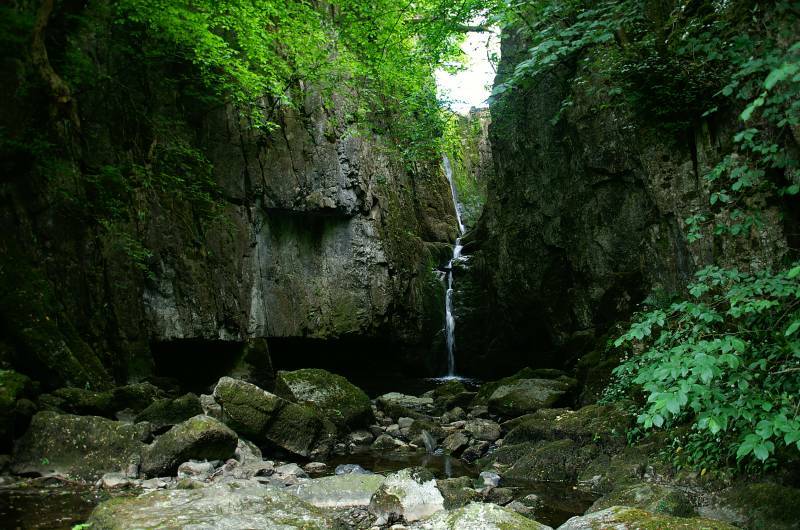 After winding my way through Stainforth's narrow streets passing the small village green I found the lane leading to Catrigg Force, a short sharp ascent between dry stone walls followed as I climbed into high limestone country, paying a quick visit to the waterfall before continuing my journey. Along farm lanes and green paths I idly wandered, plus the odd stretch of tarmac before ascending into the high unspoiled valley of Warrendale. 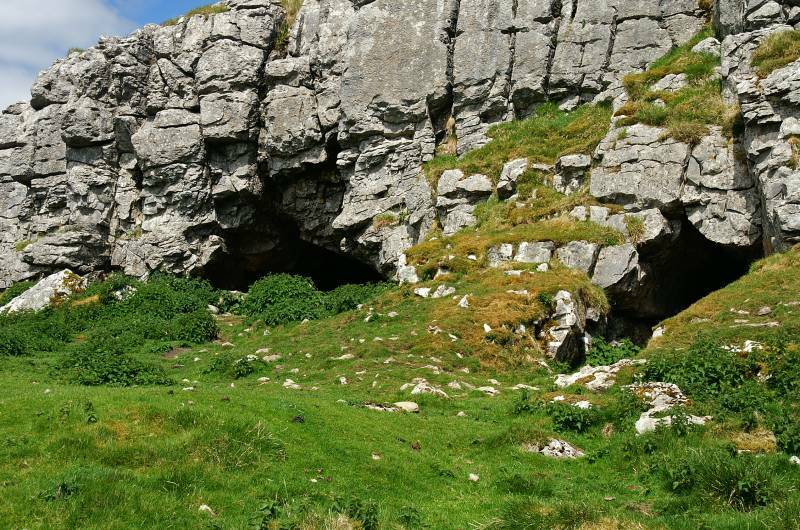 A quick visit to Jubilee Cave then on to Victoria Cave before descending to view the dramatic limestone towers and pillars of Warrendale Knotts and Attermire Scar. My day had started dull but now the sun was shining making this small slice of Yorkshire look ever more special. 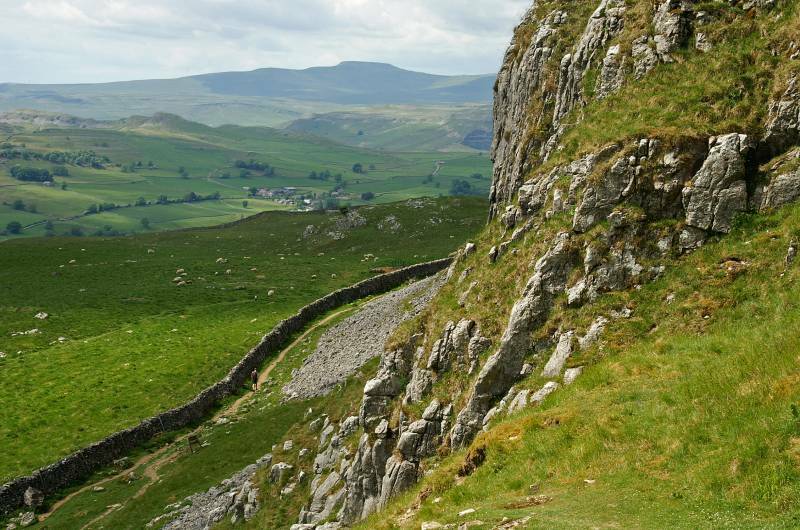 My route then ascended to the west followed by a steep descent with splendid views over Settle and the Ribble Valley. 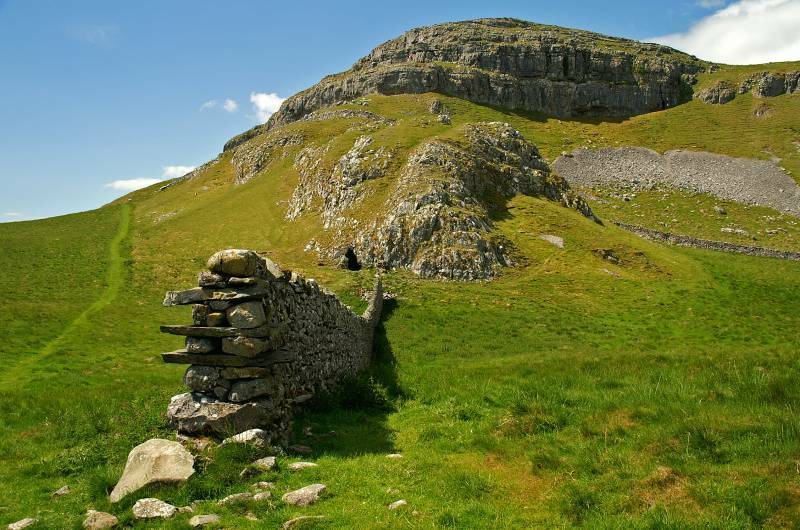 At the foot of the descent I stepped onto the footpath linking Settle with Langcliffe, a short walk through fields and I was back in the village where I set out just under three hours earlier. 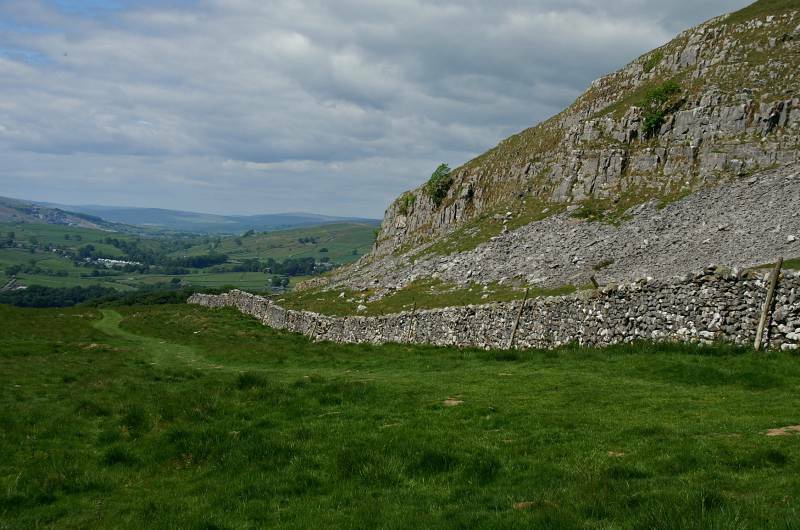 Looking over Ribblesdale to the limestone plateau above Giggleswick Scar, I've just stepped into the fields to the north of Langcliffe. Lime burning on an industrial scale, the Hoffmann kiln doesn't look so big from this end, truth is this is the only view that fits into the camera viewfinder. This is only one half of the Hoffmann Kiln, lime burning on an industrial scale, built in 1873 for the Craven Lime Company. 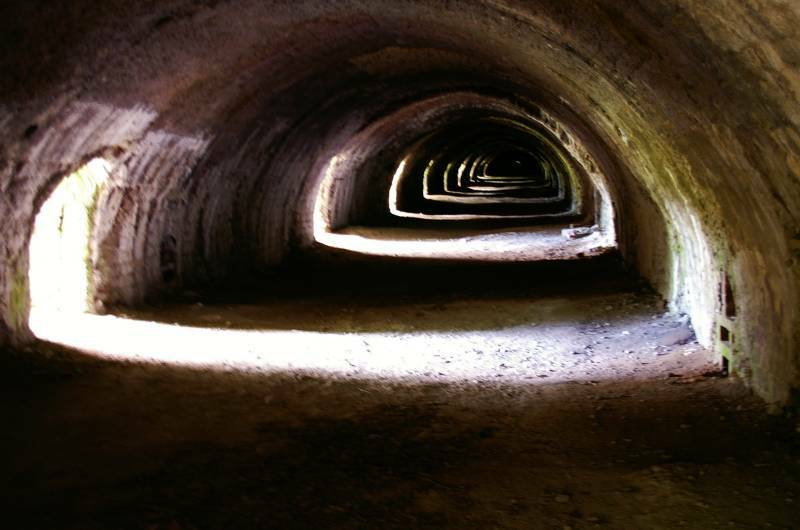 The kiln contained 22 individual burning chambers, three and a half million fire bricks were used, backed by limestone ballast to retain the heat. 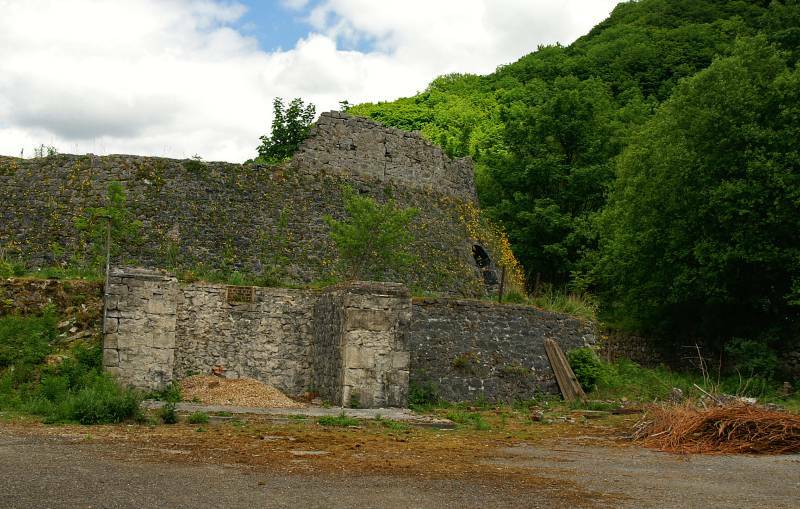 Limestone was burned in a circuit round the kiln, it took six weeks for a full circuit, it finally closed in 1939. 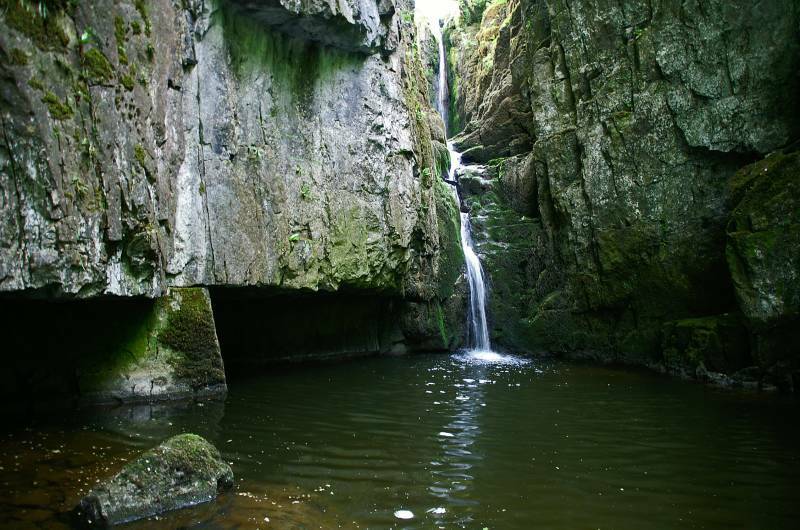 Catrigg Force above Stainforth, normally this water filled ravine echoes to the thunder of falling water, not today. I've been here many times over the years but never have I been able to get this close to the fall, it was quite eerie in this cool ravine on my own, time to go and hunt out some views. 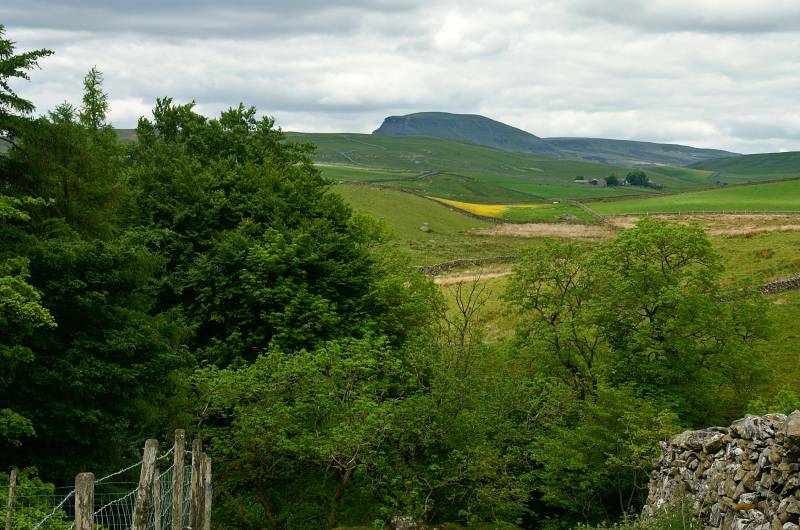 View No1... Pen-y-ghent seen as I escape the confines of Catrigg Force. 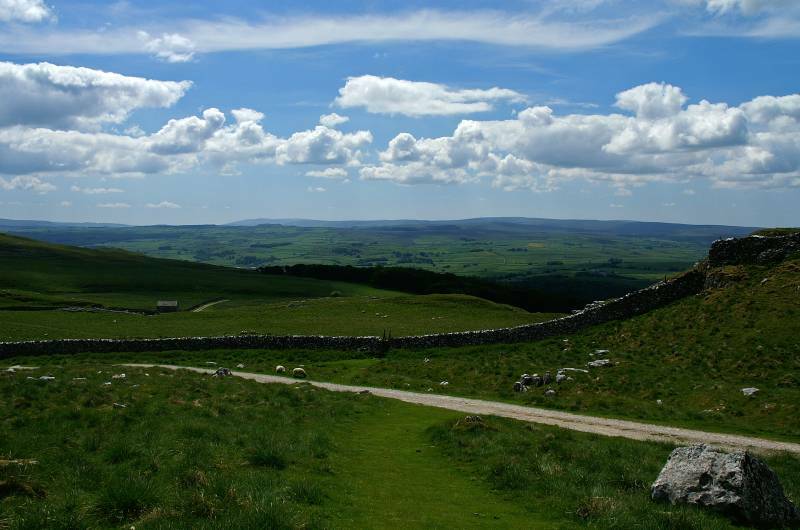 View No2... A stunning view through Silverdale with Pen-y-ghent on the left and Fountains Fell the right. View No3... 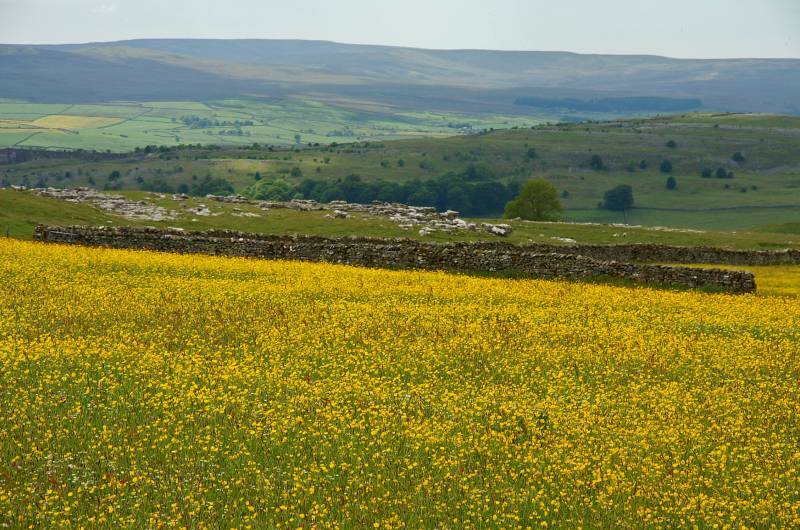 The fields above Winskill provide a fine viewpoint, Fountains Fell over fields alive with Buttercups. View No4... 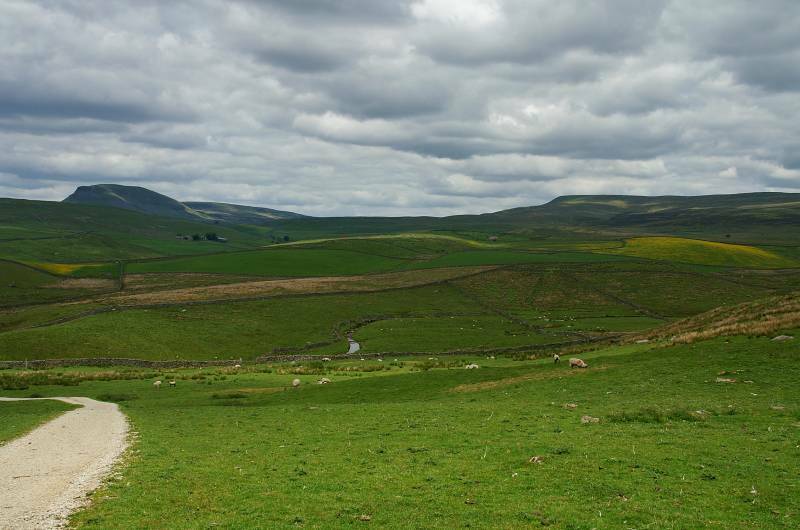 The hills of Bowland seen over Winskill Stones. 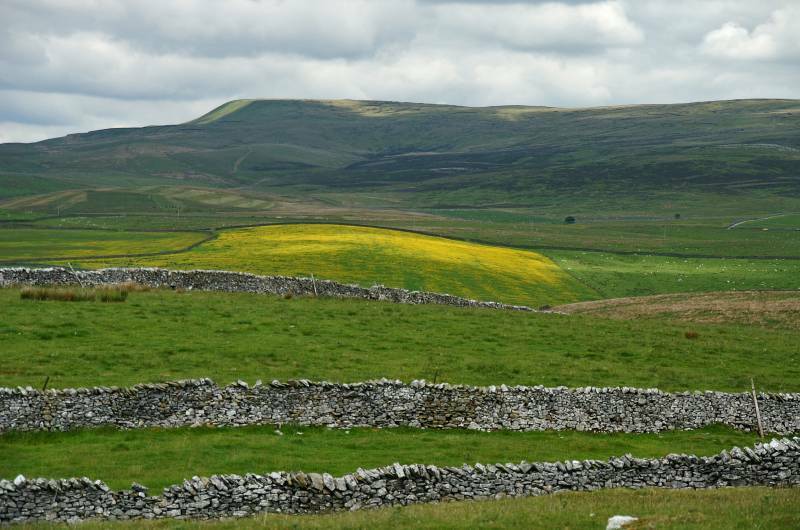 View No5... Upper Winskill backed by the blue/grey mass of Ingleborough. Marking the entrance to Warrendale the twin entrances to Jubilee Cave. 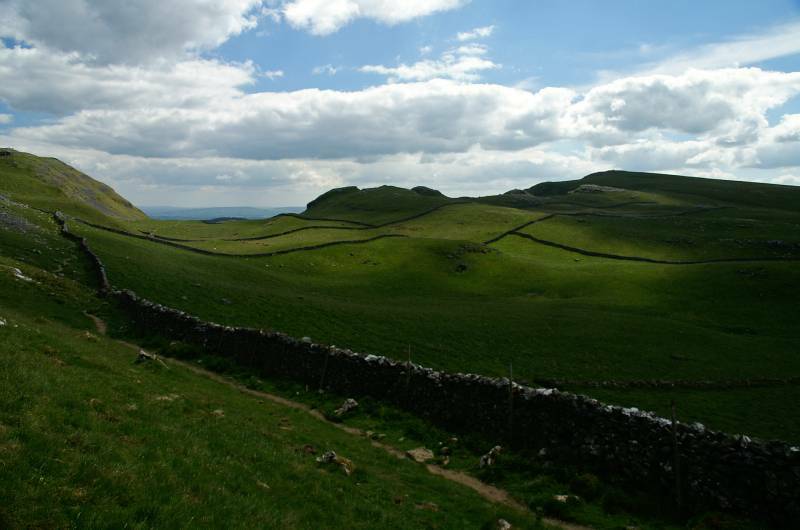 Seen from Jubilee Cave Warrendale and the vast expanse of the Ribble Valley, with the hills of Bowland stretched out across the skyline. 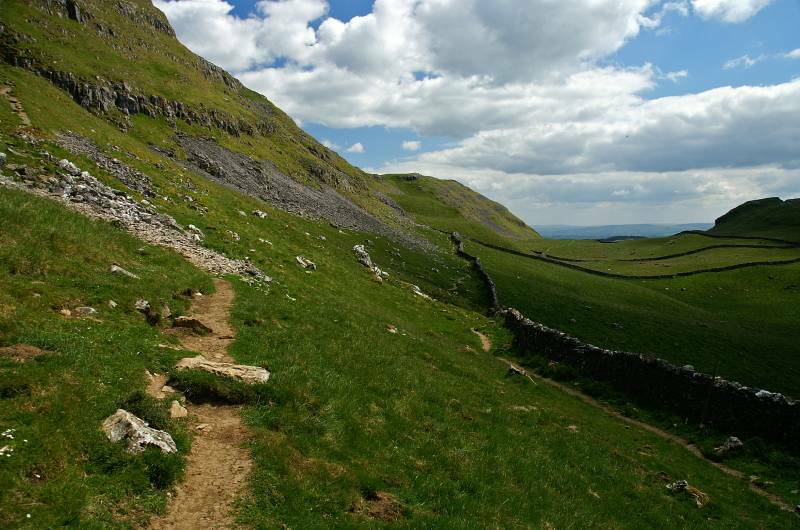 Ascending the path to Victoria Cave with Brant Scar to the left and Warrendale the right. Seen over a delightful lush green rolling landscape, the northern edge of Warrendale Knotts, no sign of the drama just around the corner. 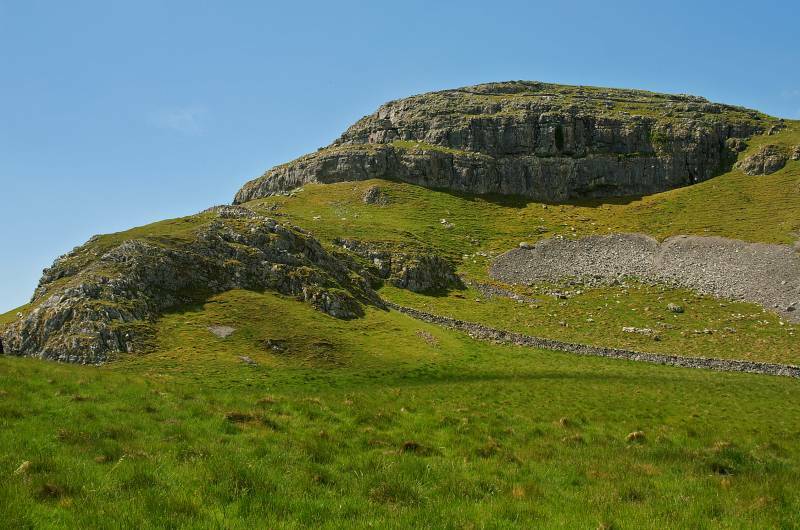 Rising high above Ribblesdale the unmistakable flat top of Ingleborough, as seen from the entrance to Victoria Cave. I've just turned the corner mentioned earlier, here is my first view of the spectacular cliffs of Warrendale Knotts. A glimpse of a primeval world, the shattered rock and scree of Warrendale Knotts. Looking to some of Warrendales climbing cliffs, how many climbers can you spot, there's a few. 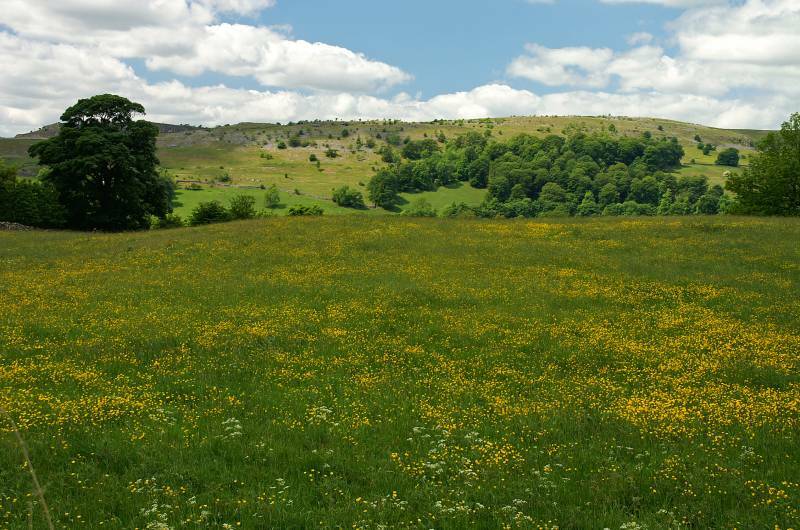 Another view to the naked limestone cliff, this time from further up the field. 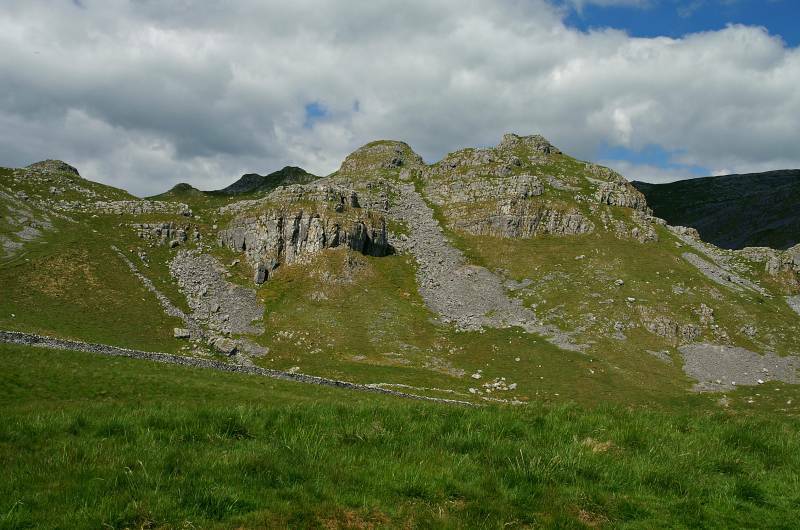 Warrendale Knotts with the dark shadow of Attermire Scar rising to the right. In sunlight and shade Attermire Scar. 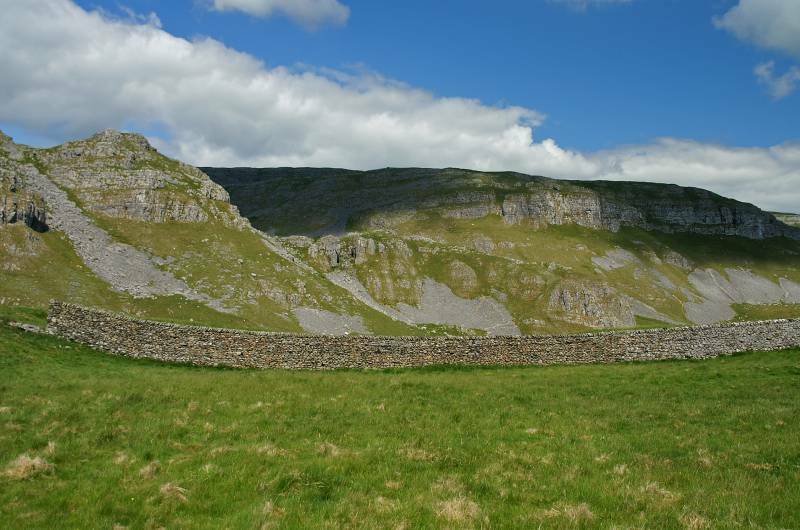 A wonderful view over Ribblesdale seen from the start of the descent. 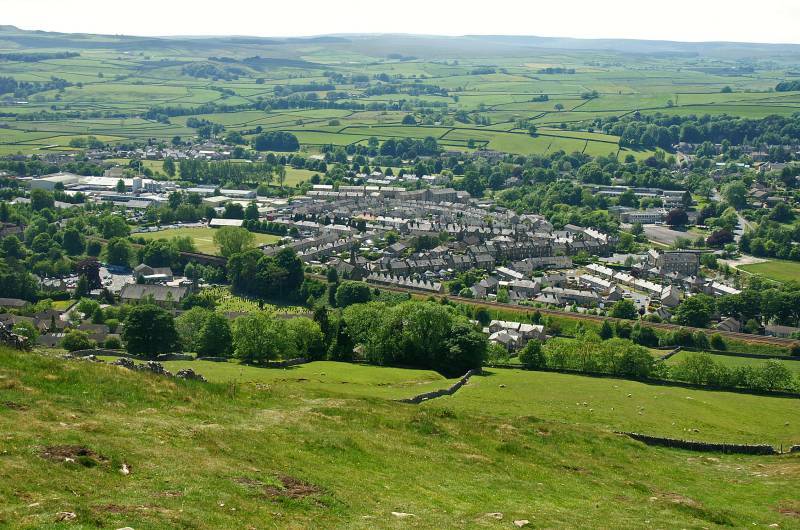 Views over the small market town of Settle. 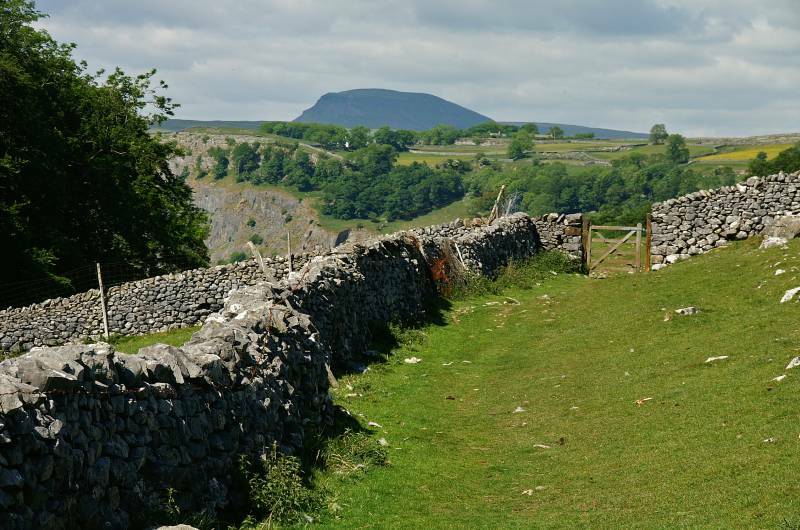 Almost back, through that gate and down the field, looking to Pen-y-ghent and the Langcliffe Quarry home to the massive Hoffmann kiln visited earlier.